Early access programs, (EAPs) are adopted by an increasing number of pharma companies due to several benefits offered by these programs. EAPs offer ethical, compliant, and controlled mechanisms of access to investigational drugs outside of the clinical trial space and before the commercial launch of the drug, to patients with life-threatening diseases having no treatment options available. In addition to the development of positive relationships with key opinion leaders (KOL), patients, advocacy groups and regulators, the data captured from the implementation of EAPs supports in the formulation of global commercialization strategies. This white paper outlines various circumstances to be considered for the implementation of EAPs named patient programs, the regulatory landscape, the benefits and challenges associated with implementing these programs and the key considerations for their successful implementation. One of the important components of patient-centered healthcare is comparative effectiveness research (CER), which aims at generating evidence from the real-life setting. The primary purpose of CER is to provide comparative information to the healthcare providers, patients, and policy makers about the standard of care available. This involves research on clinical questions unanswered by the explanatory trials during the regulatory approval process. Main methods of CER involve randomized controlled trials and observational methods. The limitations of these two methods have been overcome with the help of new statistical methods. After the evidence generation, it is equally important to communicate the results to all the interested organizations. 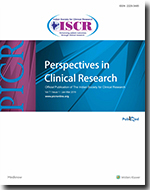 CER is beginning to have its impact in the clinical practice as its results become part of the clinical practice guidelines. CER will have far-reaching scientific and financial impact. CER will make both the treating physician and the patient equally responsible for the treatment offered. Emerging technologies in computer and telecommunication industry has eased the access to computer through telephone. 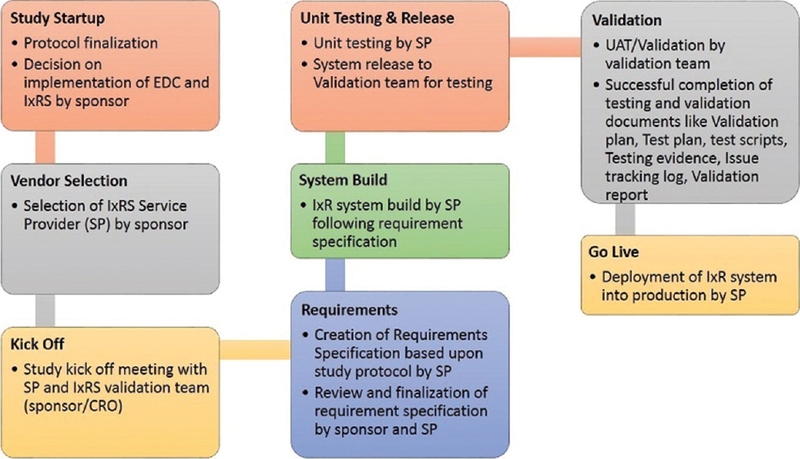 An Interactive Voice/Web Response System (IxRS) is one of the user friendly systems for end users, with complex and tailored programs at its backend. The backend programs are specially tailored for easy understanding of users. Clinical research industry has experienced revolution in methodologies of data capture with time. Different systems have evolved toward emerging modern technologies and tools in couple of decades from past, for example, Electronic Data Capture, IxRS, electronic patient reported outcomes, etc. Background: Sodium glucose co-transporter 2 inhibitors represent a novel class of antidiabetic drugs. 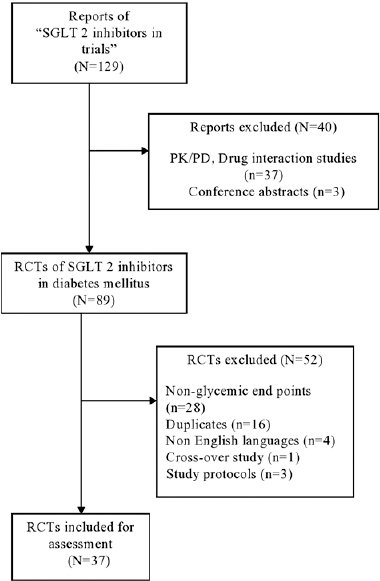 The reporting quality of the trials evaluating the efficacy of these agents for glycemic control in type 2 diabetes mellitus has not been explored. Our aim was to assess the reporting quality of such randomized controlled trials (RCTs) and to identify the predictors of reporting quality. Materials and Methods: A systematic literature search was conducted for RCTs published till 12 June 2014. Two independent investigators carried out the searches and assessed the reporting quality on three parameters: Overall quality score (OQS) using Consolidated Standards of Reporting Trials (CONSORT) 2010 statement, Jadad score and intention to treat analysis. Inter-rater agreements were compared using Cohen's weighted kappa statistic. Multivariable linear regression analysis was used to identify the predictors. Results: Thirty-seven relevant RCTs were included in the present analysis. The median OQS was 17 with a range from 8 to 21. On Jadad scale, the median score was three with a range from 0 to 5. Complete details about allocation concealment and blinding were present in 21 and 10 studies respectively. Most studies lacked an elaborate discussion on trial limitations and generalizability. Among the factors identified as significantly associated with reporting quality were the publishing journal and region of conduct of RCT. Conclusions: The key methodological items remain poorly reported in most studies. Strategies like stricter adherence to CONSORT guidelines by journals, access to full trial protocols to gain valuable information and full collaboration among investigators and methodologists might prove helpful in improving the quality of published RCT reports. Context: Acinetobacter infections are a major nosocomial infection causing epidemics of infection in the Intensive Care Units (ICU). Aims: This study estimates the clinical and economic outcomes of Acinetobacter infections and compares them with those of non-Acinetobacter bacterial infections. Settings and Design: Prospective cross-sectional observational study carried out for 6 months in the medicine ICU of a tertiary care hospital. Materials and Methods: Patients were divided in two groups, one group with Acinetobacter infections and the other with non-Acinetobacter infections. The data was collected for infection, length of stay (LOS), mortality and cost along with patient demographics from the hospital records for analysis. Statistical Analysis Used: The data was analyzed using Statistical Package for the Social Sciences Version 15.0. The LOS and cost of treatment (COT) for the two groups were compared using the nonparametric Mann–Whitney U-test. Results: A total of 220 patients were studied out of which 91 had Acinetobacter infections. The median LOS was 20 days in Group-A and 12 days in Group-B (P < 0.0001). The median COT was INR 125,862 in Group-A and INR 68,228 in the Group-B (P < 0.0001). Mortality in Group-A and Group-B was 32.97 and 32.56 (P = 0.949) respectively. Conclusion: The burden of Acinetobacter infections in ICUs is increasing with the increase in LOS and COT for the patients. The infection control team has to play a major role in reducing the rate of nosocomial infections. Aims: To assess the coping strategies and the relationship of coping with subjective burden and positive caregiving consequences as perceived by the caregivers of children and adolescents with Type-1 diabetes. Design: Cross-sectional assessment. Setting: Outpatient of Endocrinology Department. Participants: Forty-one parents of children and adolescents with Type-1 diabetes Main Outcome Measure: Ways of coping checklist (WCC), involvement evaluation questionnaire (IEQ) and scale for assessment of positive aspects of caregiving experience (scale for positive aspects of caregiving experience) to study the coping, burden and positive aspects of caregiving respectively. Results: On WCC, the highest score was obtained for seeking social support, followed by planful problem-solving. More frequent use of coping strategies of confrontation and escape-avoidance was associated with significantly higher score on the tension domain of IEQ. Those who more frequently used problem-solving and distancing had significantly higher scores on worrying-urging-I domain of IEQ. supervision domain of IEQ was associated with more frequent use of confrontation, self-control, social support, escape-avoidance and positive reappraisal. More frequent use of distancing and problem-solving were associated with lower caregiving personal gains. More frequent use of problem-solving was associated with higher caregiver satisfaction and lower scores in the domain of self-esteem and social aspects of caring. Conclusion: Caregivers of patients with Type-1 diabetes predominantly use adaptive coping strategies. Higher use of certain coping strategies is associated with negative and positive caregiving consequences. Objective: The aim of this study was to identify the publication speed (peer review time and publication time) of biomedical Indian journals and identify the journals having the facility of advance online publication (AOP). Materials and Methods: Biomedical Indian journals were identified from the Journal Citation Report of 2013. Thirty original articles published between January 2012 and June 2014 were systematically selected from each journal. Information about the date of submission, revision, and acceptance were extracted from the full text of the articles. Median peer review time (submission to acceptance) and publication time (acceptance to AOP/electronic publication) were calculated for each journal. Results: Of the 19 journals studied, 5 (26.3%), 15 (78.9%), and 6 (31.6%) journals did not mention details about date of submission, date of revision, and date of acceptance, respectively. The individual median peer review time of the journals ranged from 87 to 377.5 days and the combined median peer review time (interquartile range) was 143.5 days (105.5, 238). The individual median publication time ranged from 14 to 349 days. The publication time for journals with AOP was significantly lesser (29.5 [19.6, 50.6] vs. 146.5 [126.5, 202.5]; P = 0.02) compared to journals without AOP. Impact factor of the journal did not correlate with the publication speed. 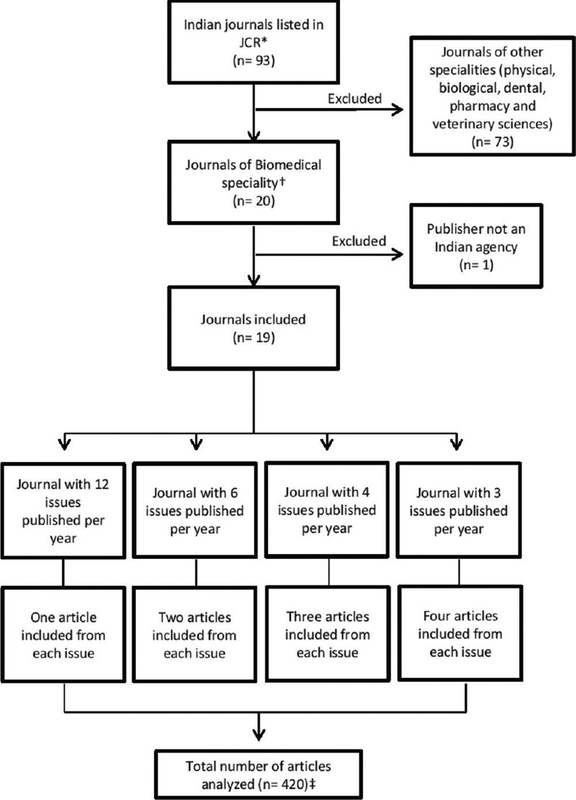 The facility of AOP was provided by 6 (31.6%) journals. Conclusions: Overall, the peer review time and publication time of biomedical Indian journals included in our study seems to be fairly long. Less than one-third of biomedical Indian journals provide the facility of AOP. 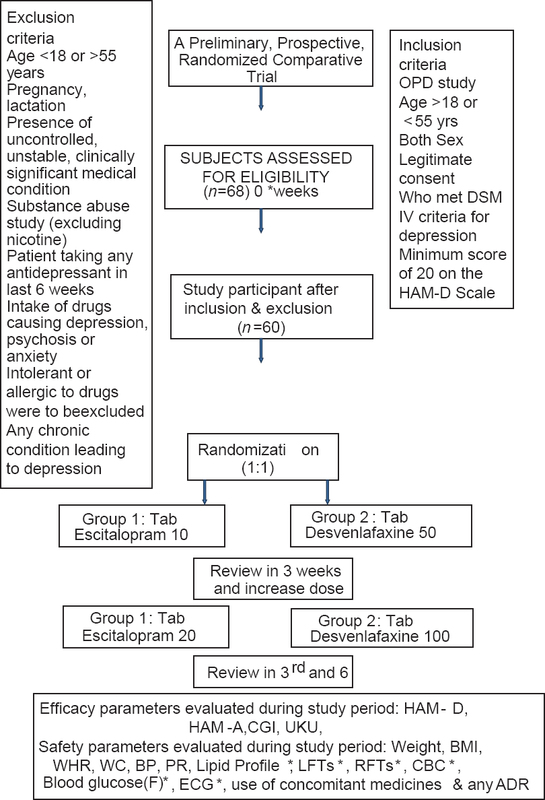 Aim and Objective: To compare efficacy and safety of escitalopram with desvenlafaxine in the treatment of major depression.Materials and Methods: A total of 60 patients of depression were randomized into two groups after meeting inclusion criterion. In the first 3 weeks, escitalopram 10 mg/day was given and then 20 mg/day for the next 3 weeks in group 1 (n = 30). Desvenlafaxine in the first 3 weeks was given 50 mg/day and 100 mg/day for the next 3 weeks in group 2 (n = 30). The parameters evaluated during the study were efficacy assessments byHamilton Scale of Rating Depression (HAM-D), Hamilton Rating Scale of Anxiety (HAM-A), and Clinical Global Impression (CGI). Safety assessments were done by UKU-scale. Results: Escitalopram and desvenlafaxine significantly (P < 0.001), reduced HAM-D, HAM-A, and CGI scores from their respective base lines. However, on comparison failed show any statistical difference at 3 and 6 weeks of treatment. Escitalopram and desvenlafaxine were both found to be safe and well-tolerated and there was not much difference between the two groups as evident from UKU Scale and their effect on various biochemical parameters. Conclusion: The present study demonstrated similar efficacy and safety in reducing depression and anxiety with both escitalopram and desvenlafaxine, but clinical superiority of one drug over the other cannot be concluded due to limitations of the small sample size. In the previous article in this series on common pitfalls in statistical analysis, we looked at the difference between risk and odds. Risk, which refers to the probability of occurrence of an event or outcome, can be defined in absolute or relative terms. Understanding what these measures represent is essential for the accurate interpretation of study results.